Portable (in home) sleep studies available all around Australia. Sleep studies, otherwises known as 'diagnostic sleep studies' or 'polysomnograms' are critically important tools for determining the nature and severity of a patient's condition. Until recently, sleep studies could only be performed in an 'attended' setting, typically in a hospital based sleep unit, where trained sleep scientists observe the patient throughout the night. Now ia sleep study can be done all over Australia using a portable diagnostic recorder. These state of the art portable recorders allow the patient to sleep in the comfort and privacy of their own bedroom. Apart from being less daunting and less expensive, these studies also provide a more typical sleeping environment for the sleep study to be conducted in. High quality recorders monitor brainwave activity, cardiac activity, blood oxygen levels, breathing patterns and stoppages, limb movements, sleeping position and much more. The recorded data is then downloaded and provided to specialist, independent sleep physicians who diagnose the condition and prescribe an appropriate form of treatment. Most of the cost of the sleep study is covered by Medicare. 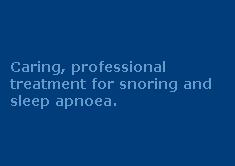 If your doctor has referred you for a sleep study, contact us on 1300 246 637 to arrange an appointment or, for a small additional fee, have the recorder delivered to your home and fitted by a sleep therapist.